Once melted, fill each of the wishbone molds. Tap the mold gently on a counter top or flat surface, to remove any air bubbles. 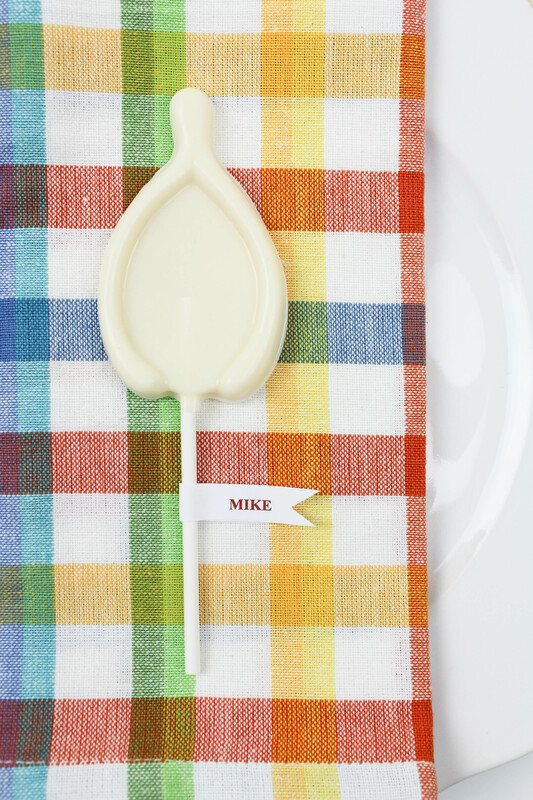 Pop your lollipop sticks into the provided cavity, and gently roll each of them in the chocolate, where it meets the wishbone. Ensure it is coated all the way around. Place the mold into the freezer for about 10 minutes, or until set. 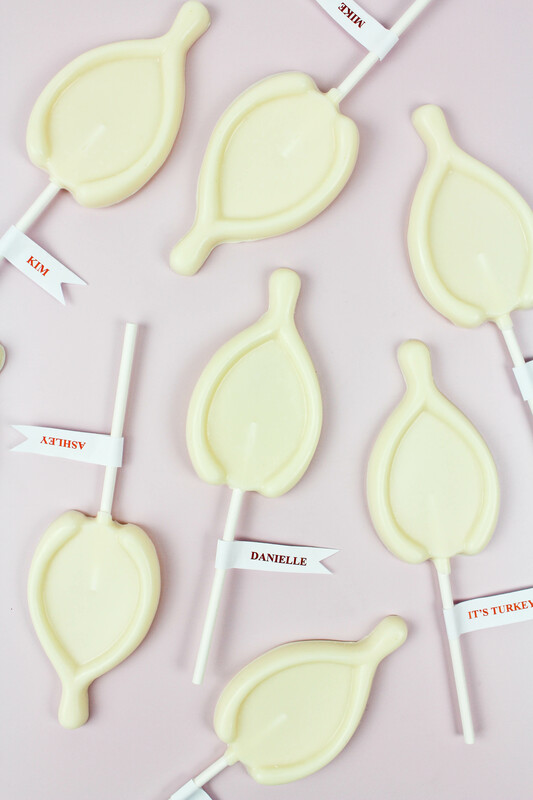 Carefully remove each of the chocolate lollipops from the chocolate mold. 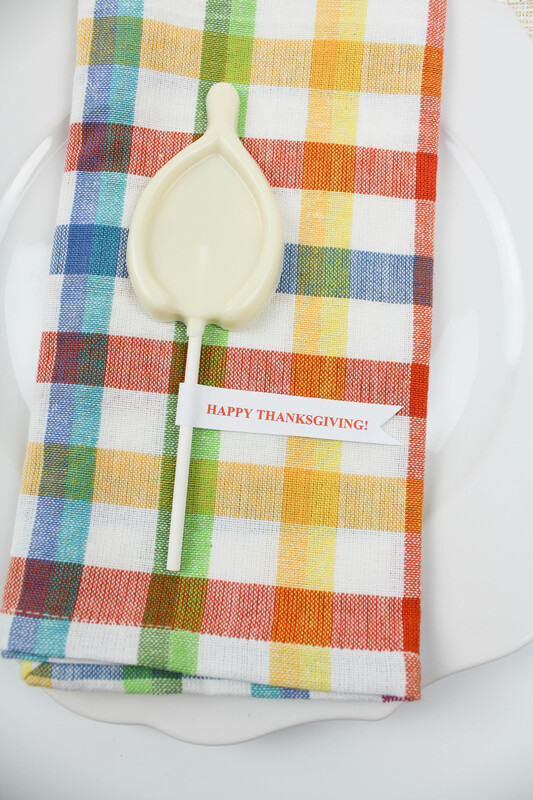 You can add a cute bow, a name if using them as place cards, or fun little Thanksgiving sayings too! 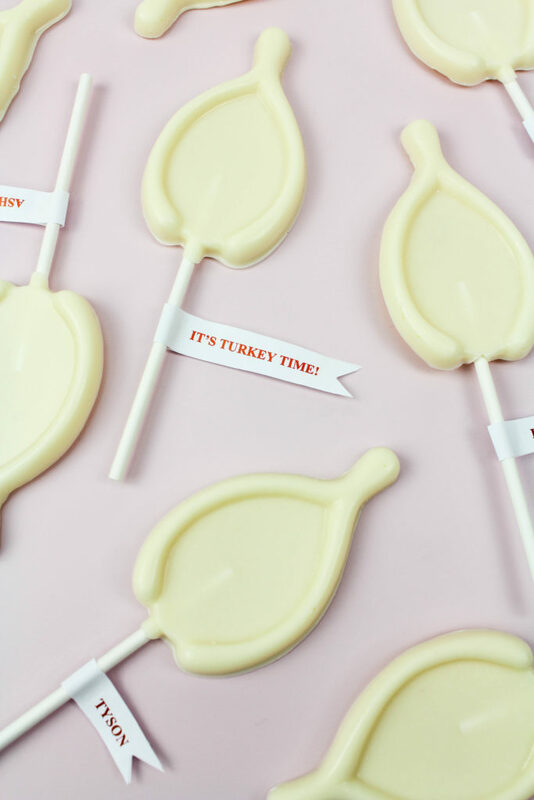 I made these last year in dark chocolate and they were a hit! We always need a bite of chocolate in spite of the wonderful pies and this was what I thought of too. These molds will be great for other events as well don’t you think?